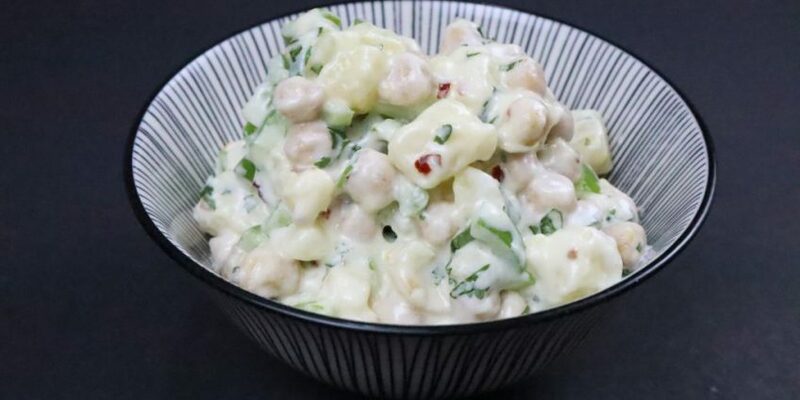 Indian Kachumbar salad is tangy and mostly best with the main course. 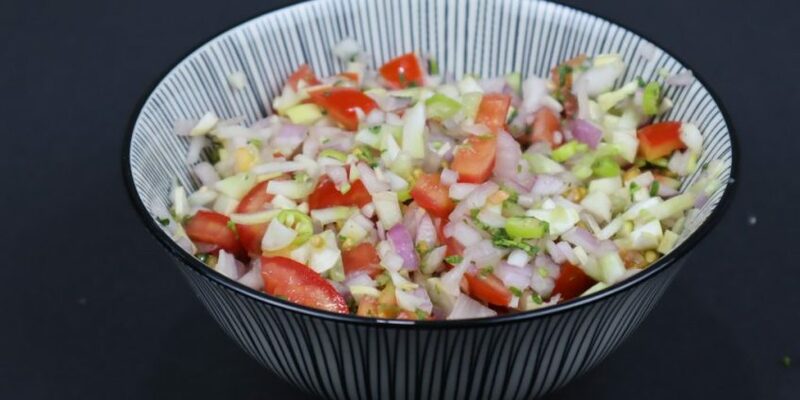 It is a mixture of some amazing veggies like onion, tomato & coriander salad tossed with Indian spices. 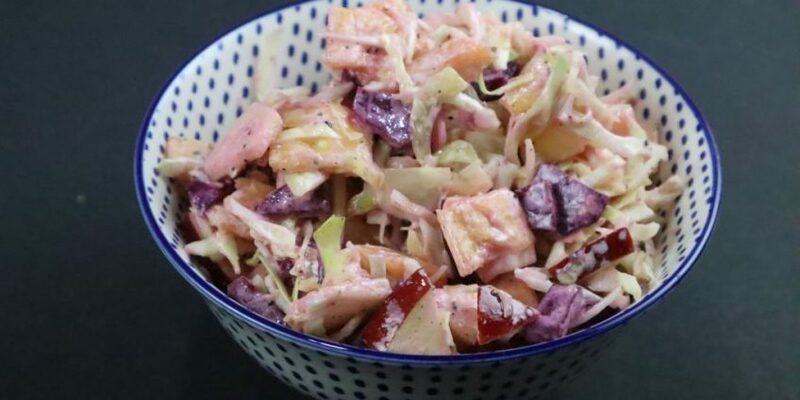 It is a 15-minute recipe, juicy & crunchy to cheer your lunch meals with some extra spices and awesomeness of salad. 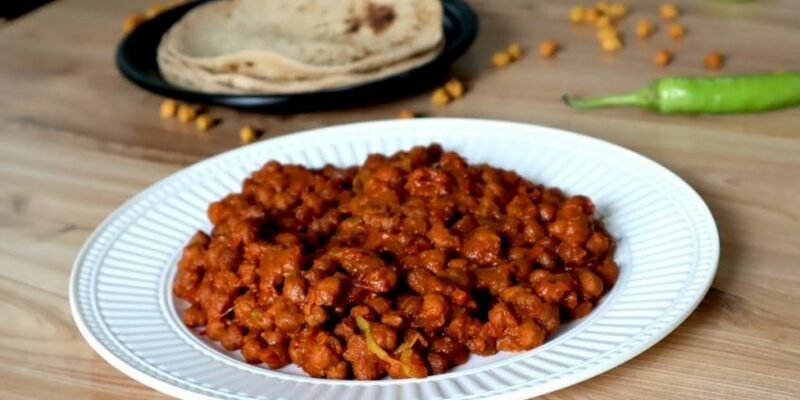 The trend is very popular with Indian mothers serving it with either any curries or rice recipes. The food just becomes interesting with each bite. You can serve this kachumbar with anything. It solves all your purpose. You want to have some nice zesty taste in your mouth or some refreshing side dish – this is ultimate. 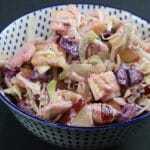 Also, enjoy some really amazing similar salads recipes. Take a bowl. Add chopped onion, chopped cucumber, chopped tomato, chopped green chilly, chopped coriander, lemon juice & salt to taste. Mix well everything in the bowl. 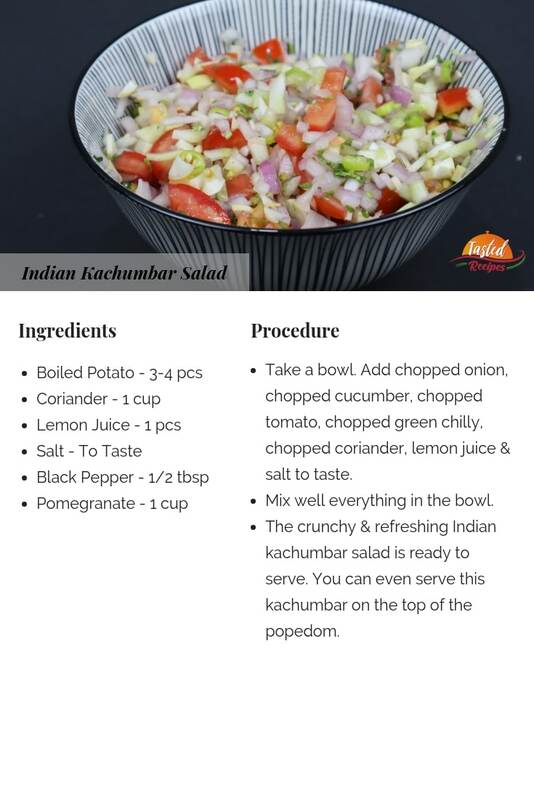 The crunchy & refreshing Indian kachumbar salad is ready to serve. You can even serve this kachumbar on the top of the popedom.